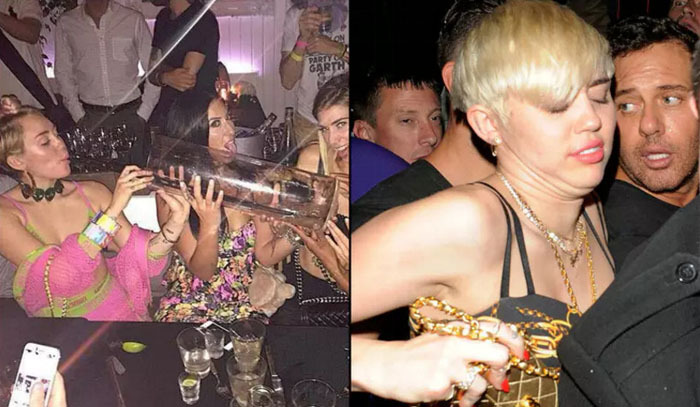 When it comes to trying to find photos of Miley Cyrus partying, it may be even easier than finding photos of her sober! The photo on the right was taken when Cyrus was out partying it up in London, so at least you know her party game is international. It isn’t clear when the photo on the left was taken, but when you finish drinks that are that large, it makes sense why you’re constantly photographed drunk!